By "strongest carcinogen" do they mean it can bench the most? Heh. The character she used is 强 which, according to Google Translate, is probably better translated as "powerful." 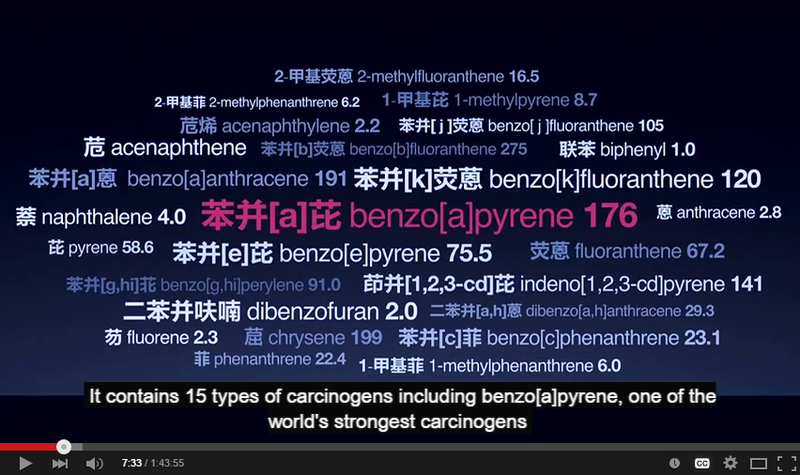 Every chemical name has a separate Chinese character? Every function group has a Chinese character.